Before switching to the next artist, the Houston Street wall was buffed. 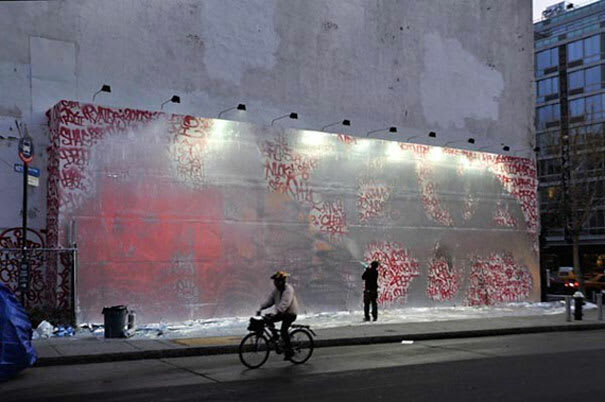 Permission was granted to create a one-day tribute to downtown artist and IRAK co-founder Dash Snow, a.k.a. SACE. November 24, 2010 - November 26, 2010.